A day at Kimberly’s placement – the National Hopspital of Acupuncture - started at 8am and finished at 4pm. 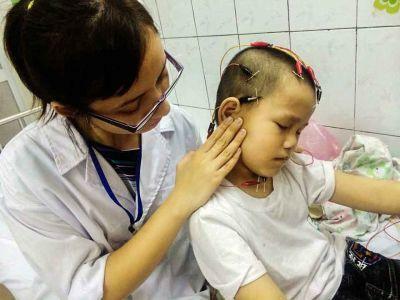 She worked in the Paediatrics Autism Department where traditional medical practices like acupuncture and massaging to treat autistic children are done. Kimberly assisted the local doctors and nurses with taking off and attaching the electrodes as well as removing needles and massaging. “I think I enjoyed massaging the most because the children were more relaxed and not screaming!” shared Kimberly. Read more about Medicine in Vietnam.